Nominations for the 76th annual Golden Globe awards were announced on Thursday with only a few surprises. The announcement, made live at the Beverly Hills hotel in Los Angeles on Thursday morning, comes right after actress Sandra Oh and comedian Andy Samberg were selected as hosts of the the awards show. The show is set to air live Jan. 6 at 8 p.m. on NBC. Most of the nominations are not surprising. 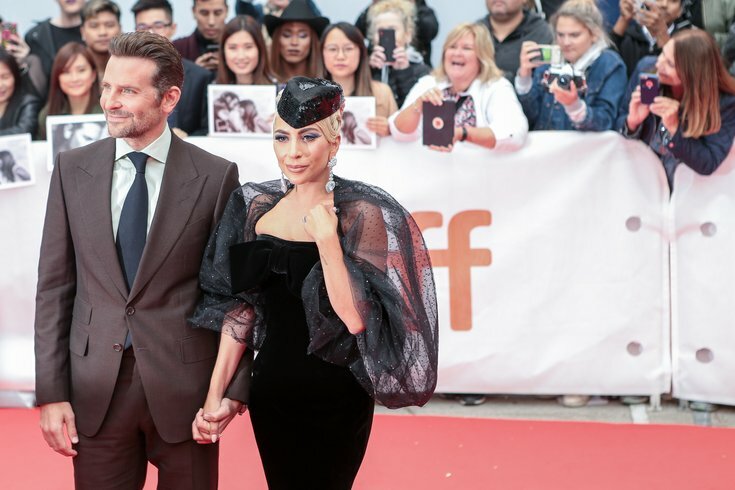 The top film nominees were "Vice" with six nominations and then "The Favourite," "Green Book," and "A Star is Born," all with five each. Jenkintown-native Bradley Cooper was nominated for best director for his directorial debut with "A Star is Born." He's also in the running for best actor for his role as the musically-talented and emotionally-tormented Jackson alongside Lady Gaga, who was nominated for best actress. Other notable Golden Globe nominations include a nod to "Black Panther," which clinched the first-ever nomination for best picture for Marvel Studios. Donald Glover also secured a nomination for best performance by an actor in a comedy TV series for his breakout hit "Atlanta," which is currently in production for Season 3. Leading lady and leading man Emily Blunt and Lin-Manual Miranda were each nominated for best actress and best actor for their roles in "Mary Poppins Returns." The film was also nominated for a Golden Globe for best original score and best motion picture. Here's a full list of the Golden Globe nominees in some of the other big-ticket categories. Constance Wu "Crazy Rich Asians"
Rosamund Pike "A Private War"
I love THE FAVOURITE because no character is a saint. You root for either Emma Stone or Rachel Weisz based on your preferred scamming style. "All the Stars" by Kendrick Lamar, Anthony Tiffith, Mark Spears, Solana Rowe, Al Shuckburgh in "Black Panther"
"Girl in the Movies" by Dolly Parton, Linda Perry in "Dumplin'"
"Requiem for a Private War" by Annie Lennox in "A Private War"
"Revelation" by Troye Sivan, Jónsi, Jon Thor Birgisson, and Brett McLaughlin in "Boy Erased"
"Shallow" by Lady Gaga, Mark Ronson, Anthony Rossomando, Andrew Wyatt in "A Star is Born"
Debra Messing "Will & Grace"
Sasha Baron Cohen "Who Is America?" Here's the complete full list of the 2019 Golden Globe nominees from the Hollywood Foreign Press Association.